Experience the magic of Wine Country abundance enhanced by small-town holiday cheer on these guided walking tours of charming downtown Healdsburg. Offered for just five weeks each year, the Holidays in Healdsburg tours have become a cherished seasonal tradition for more than 7 years. Each year Healdsburg overflows with holiday delights, including colorful street decorations and festive window displays. Carolers fill the air with music, and horse-drawn carriages offer rides through the downtown streets. A gorgeous Christmas tree dominates the historic central Plaza. The holidays bring the aromas and flavors of pumpkin, ginger, peppermint, and more. 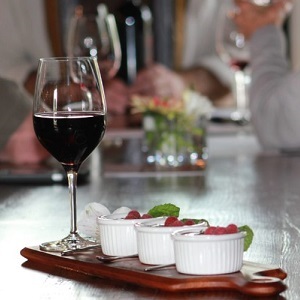 Savor delectable bites paired with award-winning wines, spirits, spiced teas, decadent hot chocolate.